"Thanks!" to many of you, including R (in this post), who let us know about the following promotion. 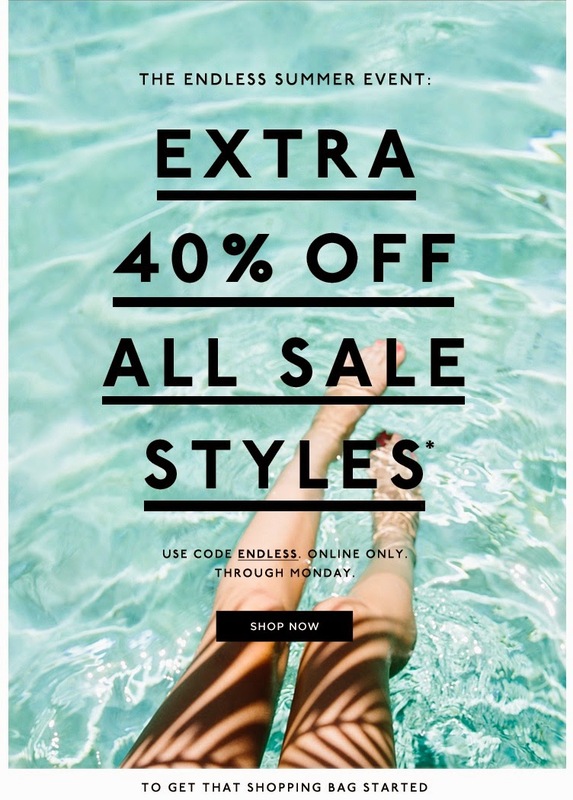 *Offer valid on purchases of sale items at madewell.com from July 24, 2014, 12:01am ET through July 28, 2014, 11:59pm ET. Offer not valid in stores or on phone orders. Offer cannot be applied to previous purchases or the purchase of gift cards and cannot be redeemed for cash or used in combination with any other offer. To redeem, enter code ENDLESS in the promo code box at checkout. Limit one promotional code per order. Terms of offer are subject to change. I love love love this promotion! 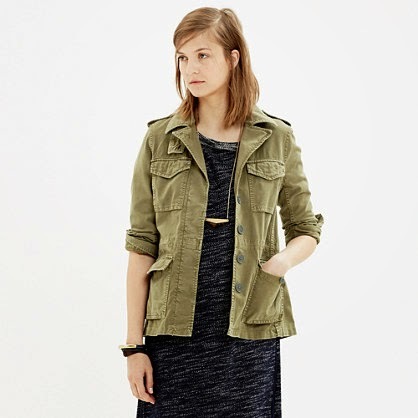 Madewell has a lot of great items both on sale and on promotion (like the amazing Outbound Jacket for $79.50 before discount applied!) right now too. Will you be taking advantage of this promotion at Madewell? What Madewell item are you hoping to pick up? Please share!